Murphy Products is a family owned business that provides soil and pulverizing equipment to some of the most innovative, creative and emerging companies in the agronomy, landscaping, building and farming industries. Murphy Products and Lawns by Murphy LLC are owned and operated by Tami Murphy. We are one of the top soil suppliers in the Oklahoma City, Oklahoma, and United States. We provide products and services in the soil and dirt agricultural industry such as the Terra XTREME dirt and soil pulverizer, comparable to other landscape equipment like soil grinders, soil shredders, soil screeners, compost shredders, soil processors. We also sell and rent topsoil, soil, dirt, compost, manure, mulch, organic fertilizer, rocks and mixes. Our Terra XTREME models are designed and manufactured by us. Technical components such as engines, axles, conveyors, etc., are sourced from leading manufacturers and tested to ensure high quality results. There are five Terra XTREME models: the 3125, 3200, 4200, 4200 Environmental and 4240. Click here for more information about our Terra XTREME product line. Murphy Products Inc., offers a variety of products for rent. Whether you need soil for an event or a Terra XTREME to finish up a big project, we can fulfill your needs. Not sure if your project would benefit from our product rental service? Contact us and we'll help you decide the scale of your project and discuss the benefits our services may bring. Our expertise doesn’t stay buried in dirt. Our company is also dedicated to creating beautiful and healthy landscapes. We specialize in large-scale residential and commercial projects and take landscape design beyond that of your greatest dreams. Our company also offers forms of maintenance to enhance curb appeal and leave clients with perfectly manicured lawns. At Murphy Products Inc., we take pride in saying that we don't add chemicals or additives to our soil and compost. We aggregate top quality materials to ensure great results for clients. Our Manalfa and Bloomin’ Crazy Blends have been awarded multiple times for their patented properties. We sell our soil, composts and blends both by the bag and in bulk. View our products today! At Murphy Products and Lawns by Murphy, we work hard to provide the highest quality soil equipment, as well as bulk and bagged products for all of your agronomy needs. 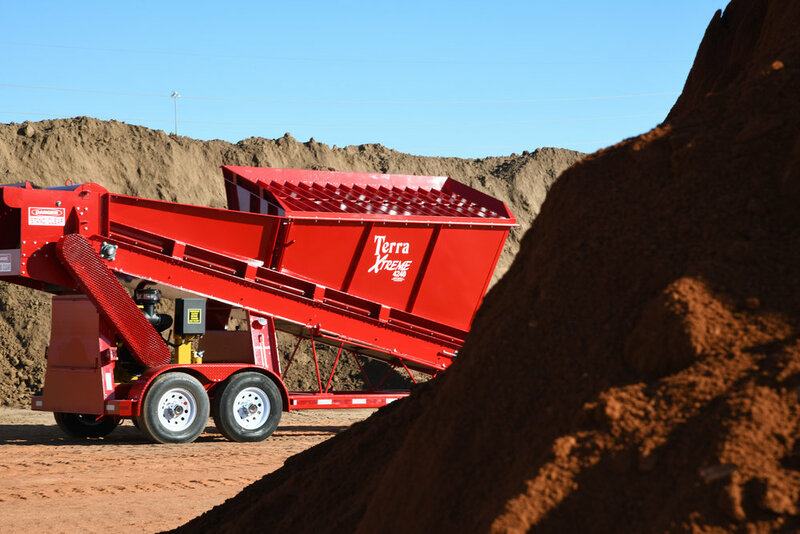 Murphy Products, a material-handling equipment manufacturer, builds and sells the best and most efficient mobile soil processor and pulverizer - the Terra XTREME. The Terra XTREME is available in a variety of sizes and options. The Terra XTREME 3125, Terra XTREME 3200, Terra XTREME 4200, and Terra XTREME 4240 are all comparable to soil shredders, soil grinders or power screeners and are used in many different industries in the United States and around the world. Lawns by Murphy offers a wide variety of bulk and bagged products such as organic matter compost and manure, blended mixes, sandy loam, blended topsoil, clay, clay soil mixes, as well as a large variety of types of organic mulches including hardwood, cedar, pine, and colored mulches. Our Blooming Crazy and Manalfa are famous among growers. All Lawns by Murphy products are chemical and fertilizer free, offering an organic means of bolstering plant and soil health. 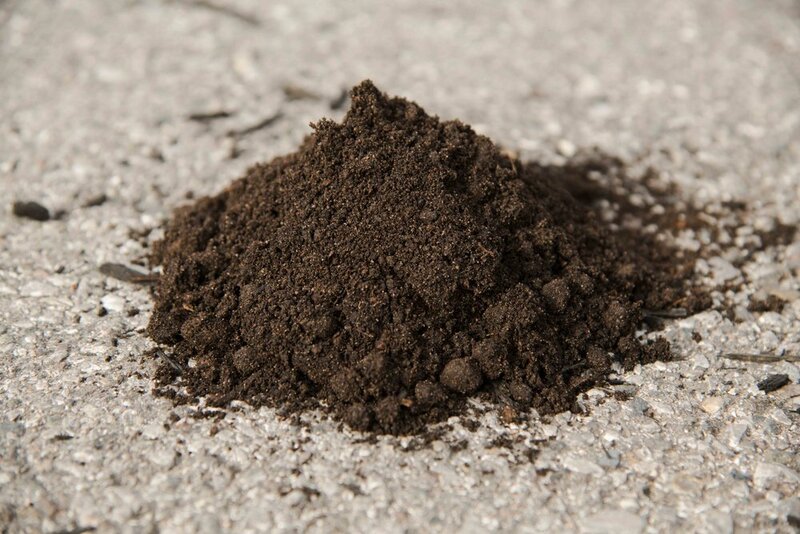 Dirt is available for purchase or rental, and there is no order too big or small. Orders are available for pick-up or delivery. Murphy Products, Inc. is a manufacturing company that produces the Terra XTREME, a one-of-a-kind mobile soil processor and pulverizer that blends and aerates material. Lawns By Murphy, LLC produces landscaping products such as soil, topsoil, mulch, compost, sand, manure, fertilizer, and rock products sold bagged and in bulk.